Save The Med's research programmes aim to increase the current knowledge of potentially vulnerable species in the Balearics in order to protect them and their habitats. Our main research focus has, up until 2016, been on the Stingray population of the bay of Palma. 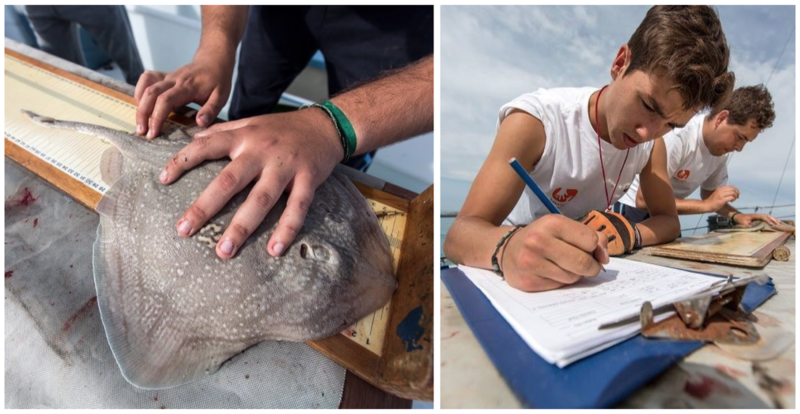 During the first four years of the organisations existence and before becoming Save The Med Foundation, we regularly managed stingray tagging with the aim of better understanding their nursery areas, mating habits, movement patterns, and the growth rate of individual rays. The study concluded that the bay of Palma is indeed a vital area where the rays aggregate and, as such, is in need of preservation in order to ensure a continuously thriving stingray population. The short documentaries A Ray of Light and A Ray of Light II, produced by David Diley, feature the Mallorca Stingray Survey and portray the story behind the foundation of Asociación Ondine, which in 2019 evolved to become Save The Med Foundation. You can watch them below.